This scene is from a boat yard located just over the causeway as you enter Galveston Island, Texas. 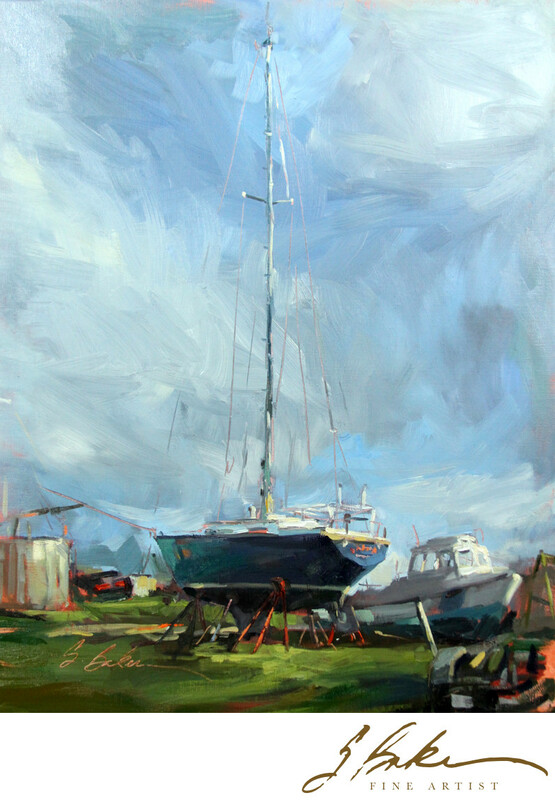 This painting was started in plein air, but completed in my van due to the rain and storm clouds that rolled in about an hour-and-a-half into my painting. Mini vans are so cool! This painting has been accepted into the OPS Plein Air Southwest Salon 2014, at Southwest Gallery, Dallas, Texas.